Free $5 Gift Card From Carma Project! Get a $5 reward right now by checking to see if you’re affected by the BIGGEST recall in US history. Over 37 million vehicles, across 19 manufacturers, have been recalled for having a deadly Takata airbag. 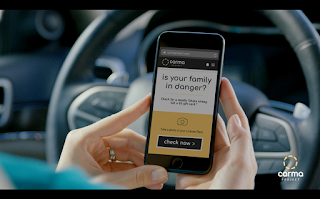 You and your passengers could be at-risk for death or injury. This is a rare opportunity to earn rewards for doing something important and responsible for you and your family. CLICK HERE to check your recall status. Anyone can get the $5 reward- even if you don’t have a Toyota. You’ll get a text with a link to download the Bitmo app and a promo code for your $5 reward. 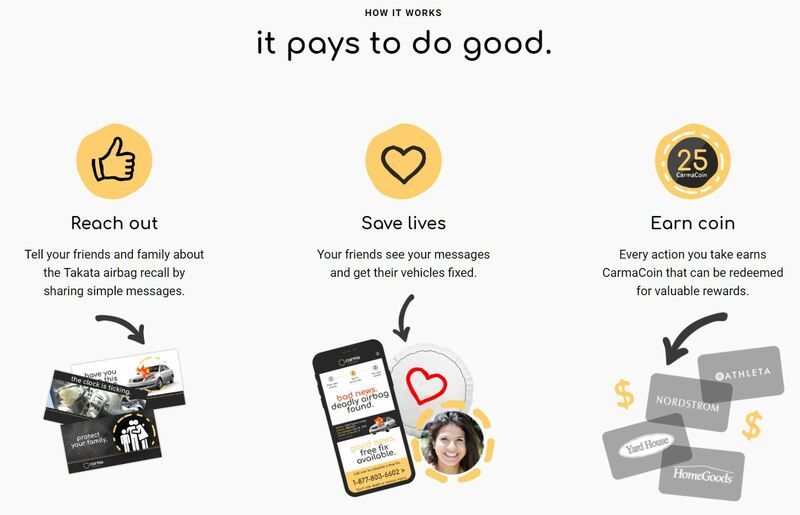 Earn even more rewards by signing up to become an Ambassador for Carma Project. Ambassadors earn rewards for helping to raise awareness about this urgent recall. Eligible vehicles that you help to get fixed earn up to as much as $55 in rewards (no limit). IMPORTANT: If your vehicle has a deadly Takata airbag recall be sure to make an appointment ASAP to get it fixed - it’s free, and you may qualify for additional free services such as a loaner vehicle, or towing.